*cleaned/sorted/organized 90% of my office. I can see my desk again! How wonderful! Doing a huge clean out right at the very beginning of the year was so helpful, I'm really going to try to keep it up! *read all of the magazines I've been accumulating and tossing aside since September (PDN, Cooks Illustrated, Real Simple, Food & Wine, to name a few). 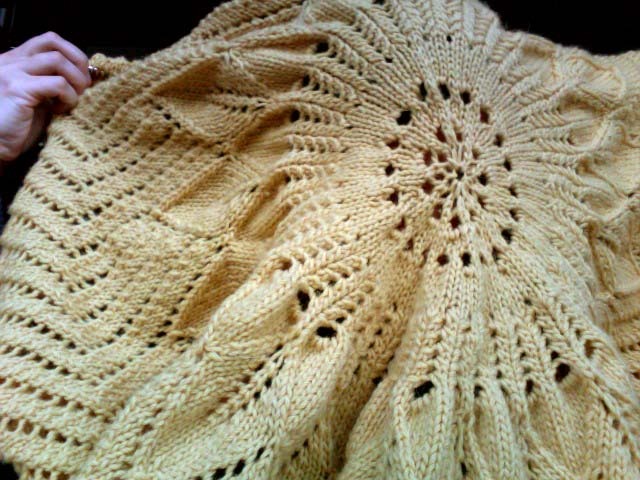 *worked (a lot) on the blanket I've been toiling away at since JUNE (remember that one?). It's coming along but each round takes about an hour so it is slow going. I'm on the last of 7 charts then on to the edging (eek!). *more fun stuff: going out to lunch and catching up with friends. Taking advantage of post-Xmas sales. Trying to do more yoga more regularly. Making lists. Ooo and I got a massage yesterday at Balanced Health. It was awesome. I start school on January 24 so I know this downtime will be over before I know it. So far I have been appreciating every (quiet/peaceful/relaxing) minute. I hope 2011 is treating you just as well!